There’s an old saying: “What you put in, is what you get out.” The same is true for Rosin production. This means that your starting material will always be the biggest factor in the quality of Rosin. However, there are certain tricks of the trade that will elevate your extracts to a whole new level. In this article we will be focusing on the temperature of your plates and the length of press. With all things Cannabis related there are several different factors at play, like the quality of starting material and quality/tonnage of the press you’re using. It’s important to note at this point that even though there are standard practices that are producing high quality Rosin, experimentation and innovation are vital and continue to push the whole industry forward. Rosin itself was discovered by accident, so don’t be afraid to try something new. Having said that, there are some basic rules of thumb that will result in Rosin that is flavorful, aromatic and visually appealing. Let’s start with Flower. When pressing buds, we recommend using a filter bag and pre-pucking your bag for the most efficient press, but neither of these steps are absolutely necessary. We recommend pressing Flower at 225 °F for 35 seconds. 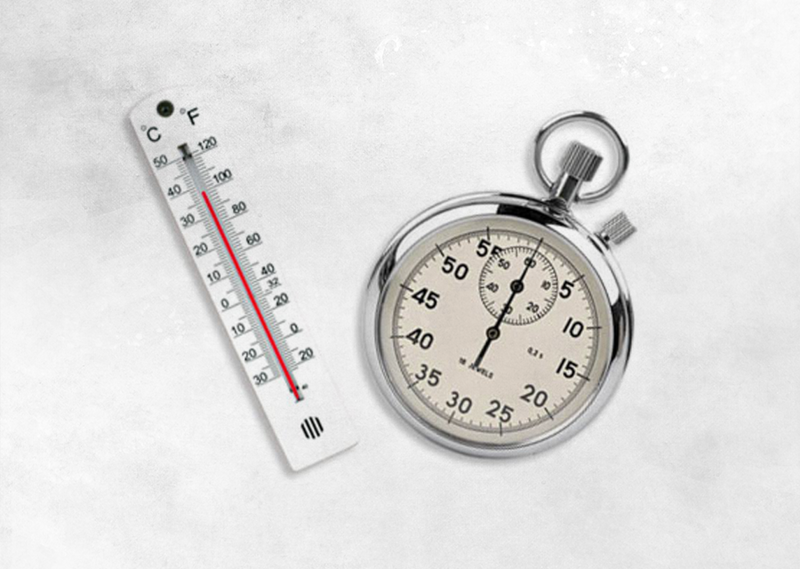 We’ve found this time and temperature maximizes yields, without burning or degrading your terpenes. You can set the temperature lower to get a lighter color Rosin, but as always it depends on the strain. If you still see oil after 35 seconds, as long as you are getting your Rosin off the heated plates, you can press for longer. Hash and Dry Sift have similar optimal temperatures and lengths of press. When pressing Hash/Dry Sift use of a filter bag is required to keep the plant material out of your rosin (We suggest 25u-73u for Dry Sift and 25u-90u for Hash.) It’s very helpful to use the pre-puck method and doubling up on filter bags is a great way to prevent blow outs. We recommend pressing Hash and Dry Sift at 180 °F for 65 seconds. For Hash and Dry Sift you want to drop the temperature and extend the length of the press. This prevents you from degrading terpenes, while getting the greatest yield from your starting material. With Flower, Hash and Dry Sift Rosin we strongly recommend using a cooling plate or putting it into a freezer immediately after the press to stop the terpene degradation process. 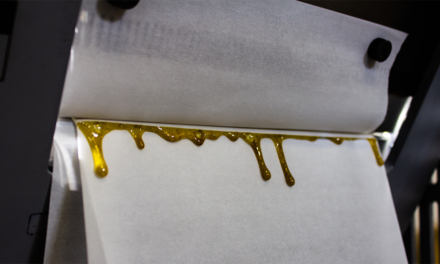 Here is a range of temperatures that we’ve found to be useful is making top grade rosin. 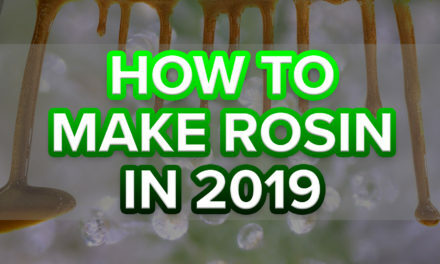 We hope you enjoyed this article if you want to learn more about Rosin check out the rest of our Rosin Major Keys articles and for related content, photos, videos and solventless education visit www.rosintech.com. 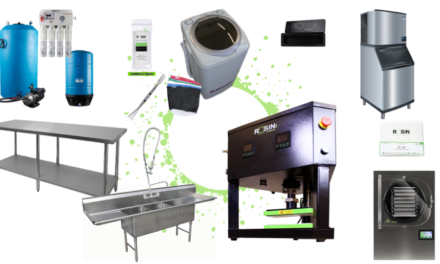 For more information you can reach us at info@rosintechproducts.com or visit us on YouTube: Rosin Tech Products. Ben is the Director of Media at SHO Products. Equipt with a background in Communications he quickly moved into producing, acting and directing for film and television. He now dedicates his time to creating content for the Cannabis Industry with a focus on solventless extraction. 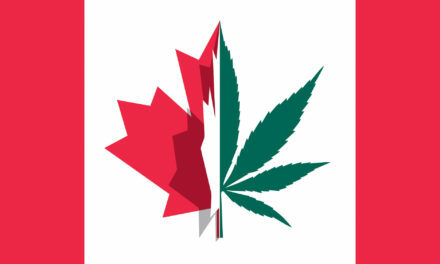 Legalization in Canada: What Does it Mean for Concentrate Enthusiasts?